Email your questions about insect identification and pest management technologies and techniques to Dr. Doug Mampe at dentomol@aol.com. Your questions most likely will be printed and answered in one of Pest Management Professional’s upcoming Ask the Expert columns. Trapping squirrels with their young is legal, but is it ethical? 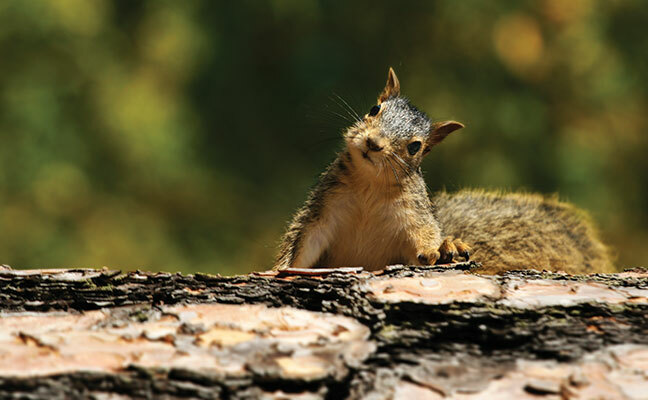 Q: I have a policy of not trapping squirrels during late winter and early spring months because young usually are in the nest. If the mother is trapped, the young die. Several customers have asked me to trap during that period and I have refused to do it. Is there any regulation that prohibits trapping during early spring months? Competitors trap anyway, and it hurts my reputation. A: Unfortunately, I know of no state or federal regulations that prohibit trapping squirrels at any time of the year. You are to be commended for being humane. The only answer I can suggest is that you explain this to customers, and hope they have a heart, too. Q: A warehouse account has a mosquito problem during the winter. I’ve had this experience in the past at an adjacent location, and the problem stems from standing water beneath the slab. This slab is several city blocks in size, and drilling holes to locate standing water is not practical. Many of the expansion joints are open, which is how the mosquitoes enter. Do you have any suggestions for controlling this problem? A: I agree that drilling holes to locate what may be many areas of standing water is not practical. I suggest you work out a coordinated program with the customer. You can treat all open expansion joints with a pyrethroid for quick kill of the adults. The client should begin a program of sealing up expansion joints. These joints also could permit entry by other pests in the future, so they should be sealed anyway. Q: I have silverfish emerging from a floor drain in a commercial building. This is a green account, so what can I use in the drain to stop the silverfish? A: Silverfish usually don’t breed in drains. I suspect the water in the trap has evaporated, and the silverfish are coming from somewhere else in the drain line. I’d put water into the trap; I bet it eliminates the problem. Q: Before we treat apartments with clothes moth problems, we give tenants a list of susceptible materials and ask them to have those items dry cleaned and then stored in plastic garment bags until all the adults have disappeared. We treat carpets if necessary. We have a tenant who is freezing susceptible items rather than having them dry cleaned. He wants to save money, but will freezing work? A: No. Think about how the insects survived outdoors before humans entered the picture. Long-term storage at freezing temperatures will provide kill, but it may take six months or more to achieve total control. Quick freezing (as used in cryogenics) kills because it drops the insect’s body temperature instantly and the insect cannot adjust to the cold. But if the tenant is just planning to put the items in his home freezer for a few days, it won’t work. I would insist that susceptible items be dry cleaned.